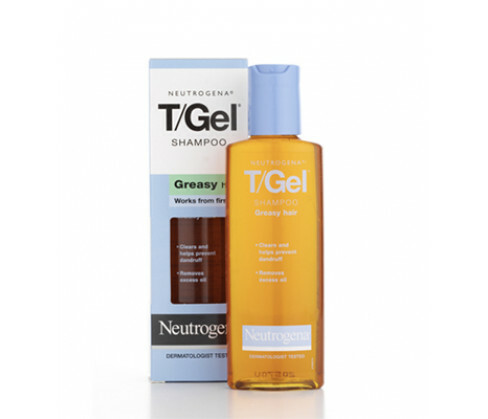 Neutrogena T/Gel Dry Hair Shampoo for Dry Hair is formulated to provide immediate relief from symptoms of dandruff such as flaking and itching. The gel preparation does not dry out your hair and is gentle enough for daily use. The formula is rich and generates large amounts of lather that effectively removes dandruff build-up on the scalp, leaving your hair conditioned and fragrant and a completely soothed scalp. For external use only. Keep out of reach of children. Do not ingest or make contact with the eyes. If contact is made inadvertently then you should rinse your eyes thoroughly till the irritation goes away. In case the shampoo is swallowed seek immediate professional advice. Do not use if you are sensitive or allergic to any of the ingredients. Discontinue use and if the scalp conditions persist or worsen, then consult your medical practitioner. Wet hair and scalp thoroughly and apply generous amounts of the gel. Massage into the scalp with a gentle action and rinse with running water after working up a rich lather. Repeat the exercise if you feel that your scalp and hair is still not clean enough. Hexylene Glycol, Propylene Glycol, Salicylic Acid, Polyquaternium-22, Cocamidopropylamine Oxide, Cocamidopropyl Betaine, Sodium Sulfate, Sodium Citrate, Linoleamidopropyl PG-Dimonium Chloride Phosphate, Disodium EDTA, Tocopheryl Acetate, Methylparaben, Piroctone Olamine, Phenoxyethanol, Methylparaben, Propylparaben, Ethylparaben, Sodium C14-16 Olefin Sulfonate, perfume and water.